Needed (okay, wanted) to get another ride in before a) the weather craps out for the next couple days, and b) I take my bike in for service tomorrow, back Thursday. All this before Saturday’s epic Gran Fondo to Whistler. 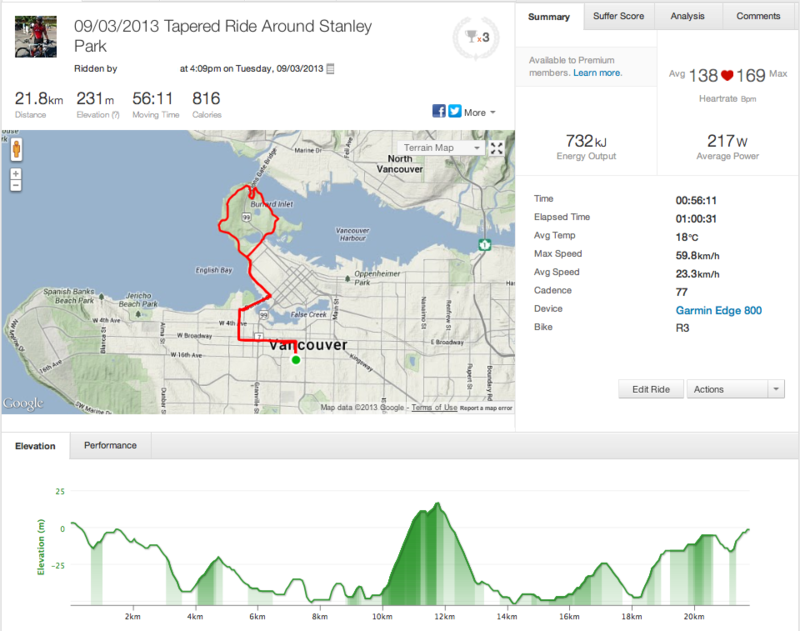 Overall intended to be an easy ride to, around and home from Stanley Park. I did the whole thing in the small chain ring to emphasize slowing down and higher cadence. It was a nice afternoon, overcast but more or less warm.